Discover Microwave Digestion Made Simple! Welcome to a revolutionary advance in pressurized microwave digestion! Fast and remarkably simple, the Discover SP-D changes the laboratory paradigm for microwave digestion. 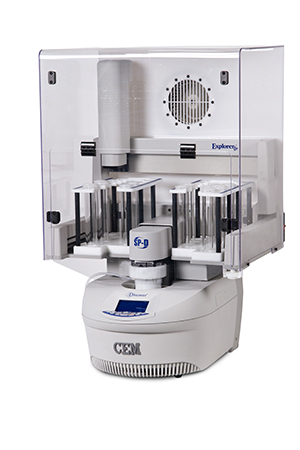 Escape the confines of traditional box-style microwave digestion systems and experience an incredible ease-of-use you’ve never had before in sample preparation. • Complete digests in 10 minutes, including cool down! The Discover SP-D can completely digest samples in as little as 10 minutes, including cool down time!Below are just a few of the types of samples that you can run in a Discover SP-D. No matter what you are digesting, we have an application for it! Click on the link to view the entire application note. 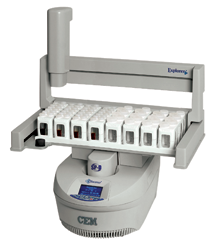 While some systems use loose-fitting caps on their vessels, Discover SP-D's easy-to-use snap-on caps ensure the vessels are completely sealed, eliminating cross-contamination. 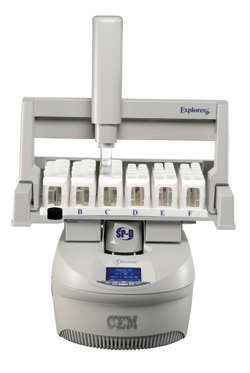 Just load your sample and snap on the cap! No tools! No complicated vessels! The patent-pending ActiVent® Technology enables the Discover SP-D to remove the gas produced from the digestion without allowing the volatile elements to escape. 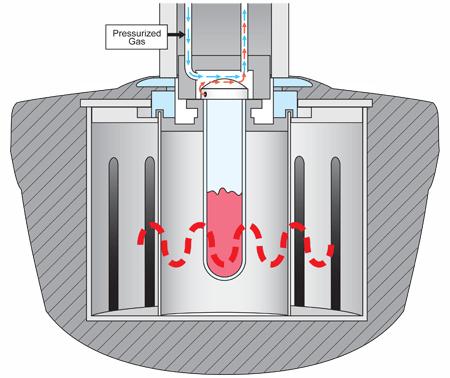 ActiVent accomplishes this by using a very sensitive pressure mechanism and innovative programming that allow the reaction vessel to vent slightly at preset pressures then reseal. Each sample is individually processed, with the microwave energy applied and precisely controlled by monitoring the temperature and pressure of the sample, so that each sample is digested with maximum efficiency. • No need to batch samples! 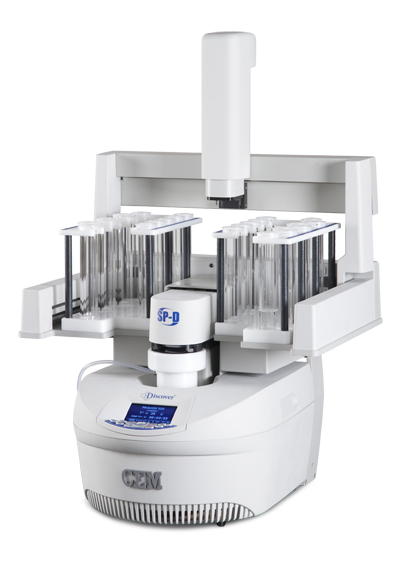 Discover SP-D gives chemists the ability to mix and match sample types. • More importantly, this feature allows chemists to interrupt their pre-programmed sequence for a priority sample and then resume processing the sequence at the point of interruption. 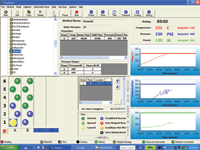 User-friendly, intuitive Synergy-D™ software tells you at a glance the status of your reaction and provides documented run data. Optional 21 CFR Part 11 compliant software is also available. Discover SP-D's autosamplers feature Intelligent Rack Design, which automatically recognizes vessel size. Run 10, 35, or 80 mL vials!